Use to destroy and remove flatworms from your aquarium Treats 300 gallons. This test allows you to measure kH in steps of 0.3 dKh (NSW 7-8) or alkalinity in steps of 0.1 meq/L (NSW 2.5-2.9). The color change is very clear despite the very small steps. This titration test is good for 40 tests. Oxygen is highly important and concentrations below approximately 6 ppm have a strong and negative impact on bacteria productivity. 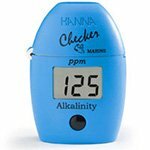 Measures in the 2 - 14ppm oxygen range. 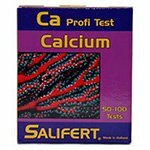 Colorimetric test good for 50 tests. Detects iodide as well as a separate test for iodate and molecular iodine. Scale 0.01 - 0.1 ppm (NSW 0.06 ppm). Test is free of interference and independent of redox value. Color remains stable for days. Contains, unlike some other iodine tests, no carcinogenic substances. In fact, none of these test kits contain them. Colorimetric test good for 40 tests. Measures 0.1 - 4 ppm nitrtite. Colorimetric test good for 60 tests. Colorimetrci test good fo 50 tests. Measures from 7.4 to 8.6 in 0.3 increments. This ICP will test your aquariums water for 33 elements down to the parts per million (ppm), or even parts per billion (ppb), surpassing the accuracy of any hobby level test kits. Includes 1 test. For highly precise and accurate measuring of salinity and specific gravity. Measuring only requires a couple drops of test solution. Ideal for use in aquiculture research, public aquariums and for aquarists who wish to obtain accurate measurement of aquarium water. High quality optical refractive lens and superior craftsmanship. Sturdy aluminum alloy construction. 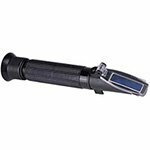 Includes FG100sa salinity refractometer, dropper, calibration key & soft flannel. 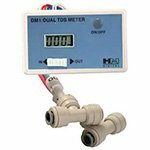 Scale Range: 0 - 100pt / 1.00 - 1.070 S.G. 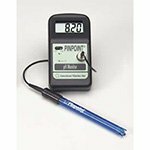 Minimum Scale: 1ppt / 0.001 S.G.
For highly precise and accurate measuring of salinity and specific gravity. Measuring only requires a couple drops of test solution. 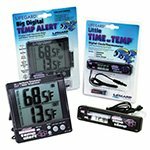 Ideal for use in aquiculture research, public aquariums and for aquarists who wish to obtain accurate measurement of aquarium water. 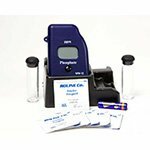 Includes salinity refractometer, dropper, calibration screwdriver, case & soft flannel. High sensitivity seawater phosphate test kit.